Upper: Single-piece Primeknit, plastic lacing panel, urethane midfoot wrap. Sleeveless, sock-like construction. Midsole: Full-length Boost foam, 10 mm heel-to-toe offset. Outsole: Soft EVA foam from heel to toe. The casual Pure Boost ZG sneaker might be a better shoe than the original Pure Boost, but that still doesn't make it a good running shoe. Going by the Ultra Boosted Uncaged and the Alphabounce, adidas is making a lot of casual sneakers which has no business in the performance running category. Nike is notorious for this double-dipping too; the Nike Air Max is a good example. The original Pure Boost was the worst offender of all. It was sold as a running shoe, but from a performance standpoint, it was by far the most terrible shoe solereview has ever reviewed. While the PB with its full-bodied Boost midsole certainly made the cut as a comfortable sneaker to walk around town, you couldn’t have bought a worse running shoe. It had zero stability, the upper fit was wonky, and the raw collar edges made running an unpleasant experience. Fast forward two years to the Pure Boost ZG Prime. The new model has nothing in common with the older generation of PB save for the name. 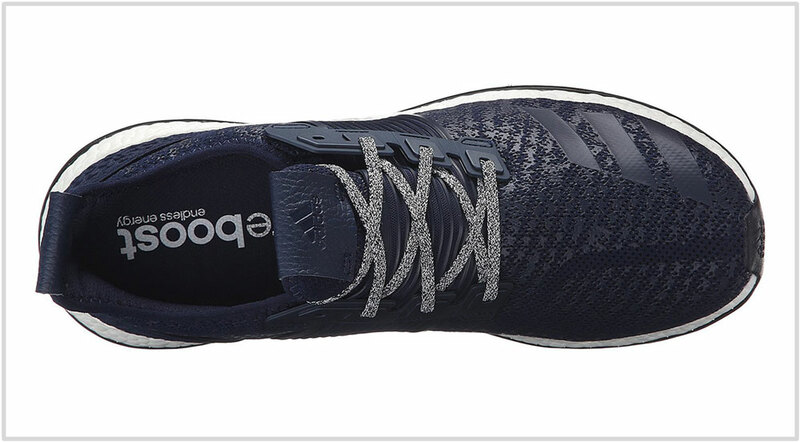 The Pure Boost has a brand new upper and sole composite, which altogether results in a different fit and feel. That doesn’t mean that the PB ZG is a competent running shoe; it is still best used casually. From a stability perspective, the ZG performs better than the previous versions, but other aspects limit its role as a performance running product. For example, the midfoot band used on the ZG’s upper is uncomfortable during runs, and so are the tacked-on leather patches over the tongue and the heel. The outsole made of the Crocs-like foam neither delivers sufficient grip or durability. By the way, the ‘ZG’ suffix in the shoe’s name is an abbreviation for ‘Zero Gravity.’ Whatever that means. 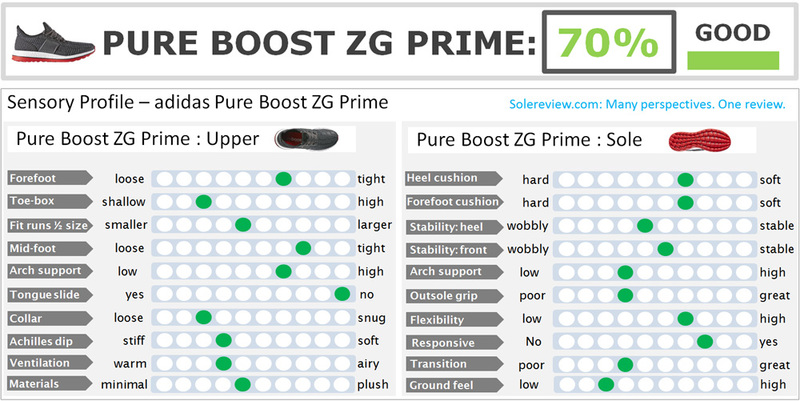 The image above is of the ZG Prime (short for Primeknit) version, but know that there are other variants available. At the time of writing this review, three Pure Boost editions exist in the market. The first is the Primeknit version, a shoe we’re discussing today. The upper is made of the semi-stretch Primeknit mesh, which is adidas’s alpha material. The second PB version has a plain mesh without any detailing. The Techfit upper ZG variant with its rubberized mesh treatment. The Pure Boost ZG with the regular semi-stretch mesh upper. The third variant uses an upper mesh with rubberized detailing, a material which adidas calls ‘Techfit.’ This mesh has been used on the Response and the Energy Boost as well. 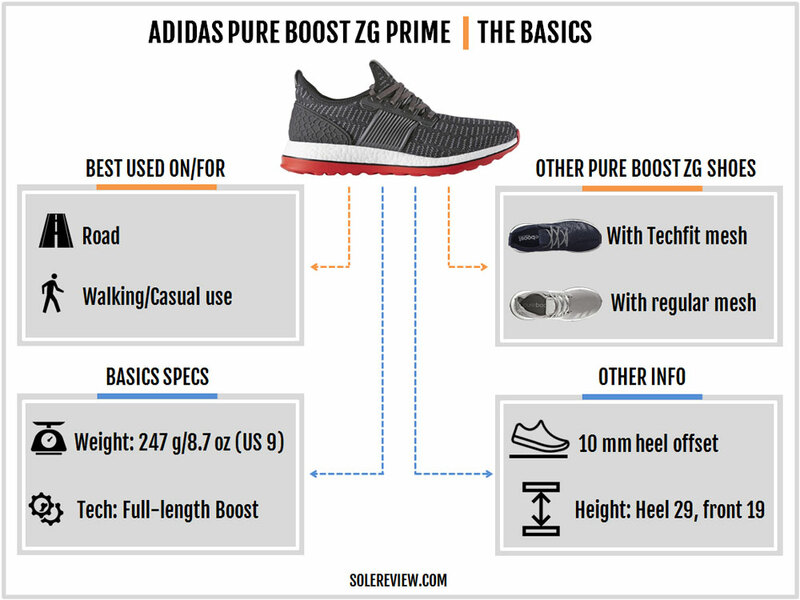 That was a brief overview of the multiple Pure Boost ZG versions, and for the rest of this review, we’ll stick to talking about the PB Primeknit. The Prime version retails at $140, which is a $20 up-charge over the non-Prime models. The Pure Boost ZG Prime’s upper is made of the now-ubiquitous knit mesh. Everyone from adidas to Nike to Skechers (and now Hoka too) are using knit uppers, so this material is fast becoming a common industry standard. Most of you will be familiar with Primeknit in its Ultra Boost avatar. On the UB, the Primeknit upper is extremely elastic and has an engineered-mesh structure. Meaning that there are ventilated pores and densely knit areas over a single piece of mesh. The PB’s knit mesh isn’t an engineered kind. It has the appearance of a regular mesh which has a uniform structure over the entirety of its surface. As a result, the PB’s mesh doesn’t stretch as much as the Ultra Boost’s mesh does. This mesh forms the most of the Pure Boost ZG’s upper. A single-piece Primeknit wraps the shoe in a bootie (without a separate tongue) construction, with a few other components tacked over it. The lacing eyestay is made of a thick plastic, and a thin urethane band completely wraps around the midfoot. The outer heel is built using a molded mesh piece, and the heel collar edges are raw except for a fabric binding. There is some foam padding available in pockets located in the lower part of the inner lining. 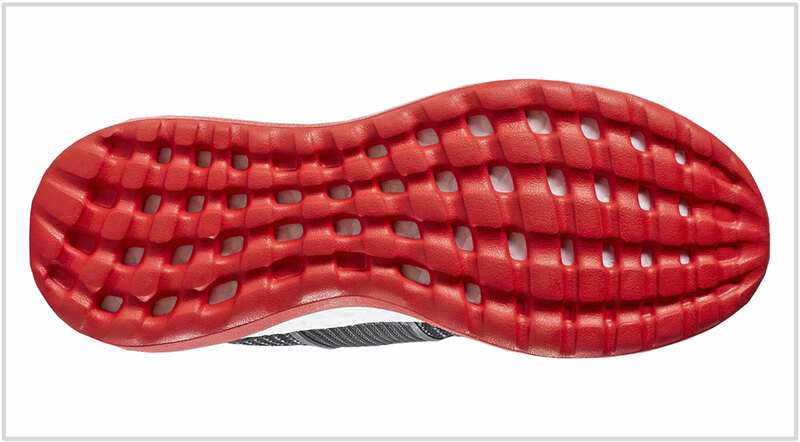 Under the tongue, there’s a separate lining which is stitched under the Primeknit mesh. In recent times, we’ve seen adidas scale down the size of its Three-Stripes logo. Like on the Ultra Boost uncaged, the logo is fused over the Pure Boost’s inner forefoot in a subtle fashion. There are a couple of components you can’t see on the outside. An internal toe-bumper gives shape to the front, and the midfoot has synthetic panels fused to its insides. So there’s a urethane midfoot band on the outside, plus inner synthetic layers with windows cut into them. The heel and tongue have thick leather pull tabs, the corners of which are partially tacked on with stitching. Not a great design choice, and we’ll soon explain why. The midsole and outsole construction is a huge departure from the way how the first two Pure Boosts were designed. Whereas the original PB design had a high volume Boost foam mated to a thin rubber outsole, what you get on the PB ZG is completely different. 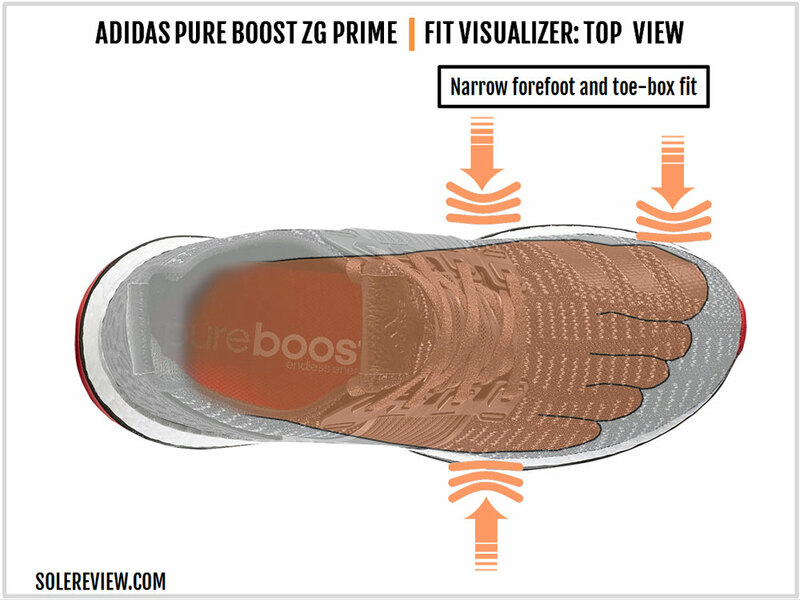 The ZG Prime has a full-length Boost midsole too, except that it is thinner. It is glued to a thick outsole below, and the two are separated by a thin, firm rim around the edges. Unlike most shoes, the outsole of the PB ZG is made of soft foam, a material which feels similar to what makes a Crocs sandal. 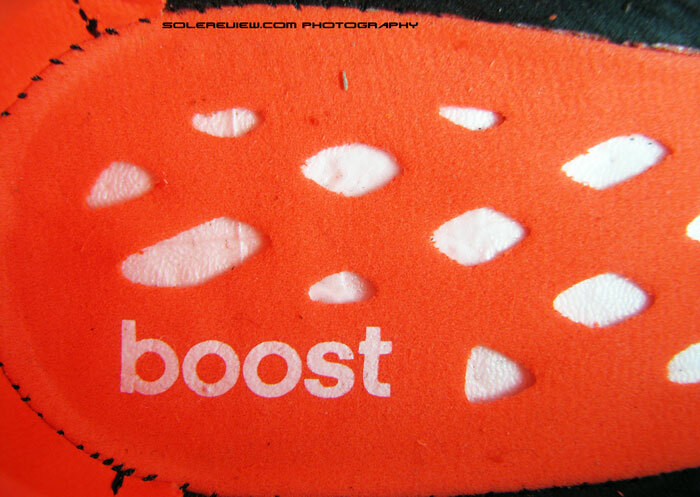 The bottom is molded in the shape of adidas’ ‘Sprintweb’ design, with small windows showing the white Boost foam underneath. There are no midfoot shanks or similar support features. The foam outsole makes up for a lot of the stack height. Our guess is that the midsole and outsole represents a 60:40 split of the 29 mm rear, 19 mm front stack heights. The foam-based outsole design makes the Pure Boost incredibly lightweight; it weighs an insignificant 8.7 ounces for a half pair of US 9. Not everything is new. 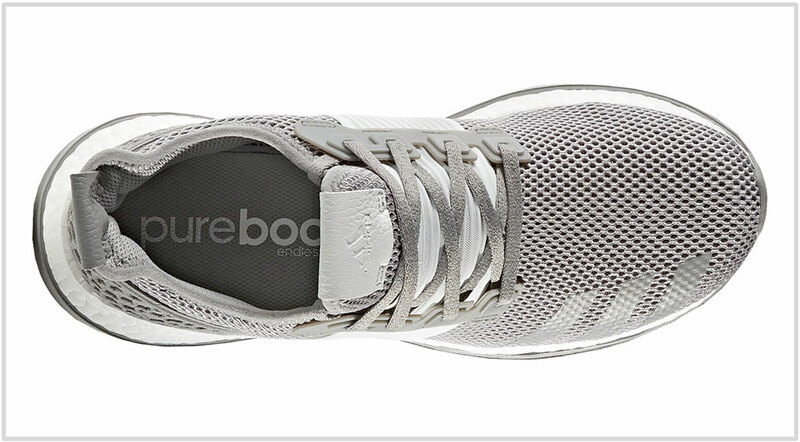 There is a remnant of the original Pure Boost in the form of the lasting layer. The lasting material has diamond-shaped windows cut into them, which matches the rectangular molding under the insole. 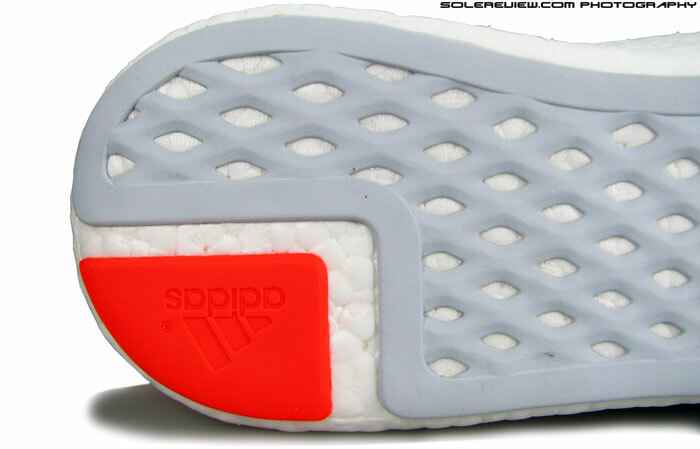 This is also a change from how the first Pure Boost was designed; the latter had no insole. As regards durability, there’s only one area you need to be concerned about. 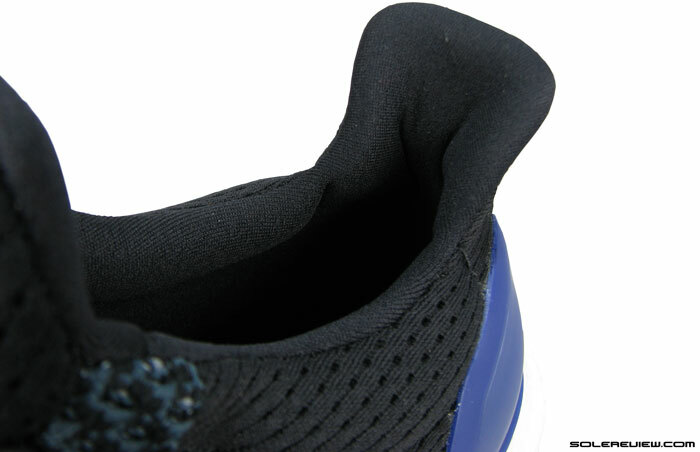 The foam outsole will wear out quicker than any other component on the Pure Boost ZG. The Boost midsole provides durable cushioning, and the upper isn’t exactly flimsy. So while you’re unlikely to face any trouble with the upper and the midsole, the foam outsole is another story. Foam is foam. Rubber is rubber. Foam is usually employed as a cushioning material and not for underside protection. The PB’s foam base will begin showing signs of wear after 50 miles, and by 250 miles the forefoot lugs will have flattened considerably. As with all Primeknit uppers, the toe-box fits shallow. If you’re used to other (and similar) adidas models, then this should present no worries. However, the midfoot has a couple of potential fit issues, especially if you plan to run in the ZG. Since the urethane band over the midfoot completely covers the shoe, the top feels tight and constricted in an uncomfortable way. This should be of no concern if you restrict the PB ZG to casual use, but then we’re calling adidas’s performance running bluff here. The leather pull tab on the tongue is also an unnecessary distraction. The material is thick, and its corners stick out – on the inside. The same applies to the heel pull tab which is designed identically. There are chances of it coming into contact with your Achilles, which makes it a potential source of discomfort. Slipping into a heel is a bit of work as the collar isn’t as stretchy as say, an Ultra Boost. 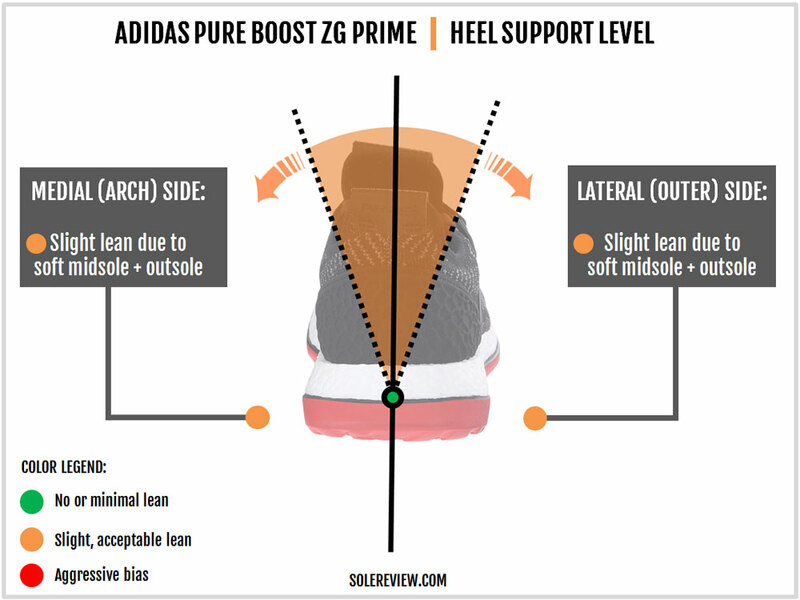 The lack of padding also makes the heel fit average, which again, is a problem when using the Pure Boost ZG as a running shoe. If you already own a pair of an Ultra Boost (except the ST) or the Alphabounce, then stay true-to-size in the Pure Boost. If switching over from other brands, then you need to buy a half a size larger than your non-adidas shoe. The forefoot fits narrow because of elastic Primeknit upper. Tight doesn’t necessarily mean uncomfortable, as the stretchable Primeknit expands to accommodate the foot shape. On a general scale, the Pure Boost has a soft ride. That doesn’t come as a surprise given its full-length Boost midsole and the thick EVA insole. The outsole also plays a part in cushioning softness because of its all-foam construction. 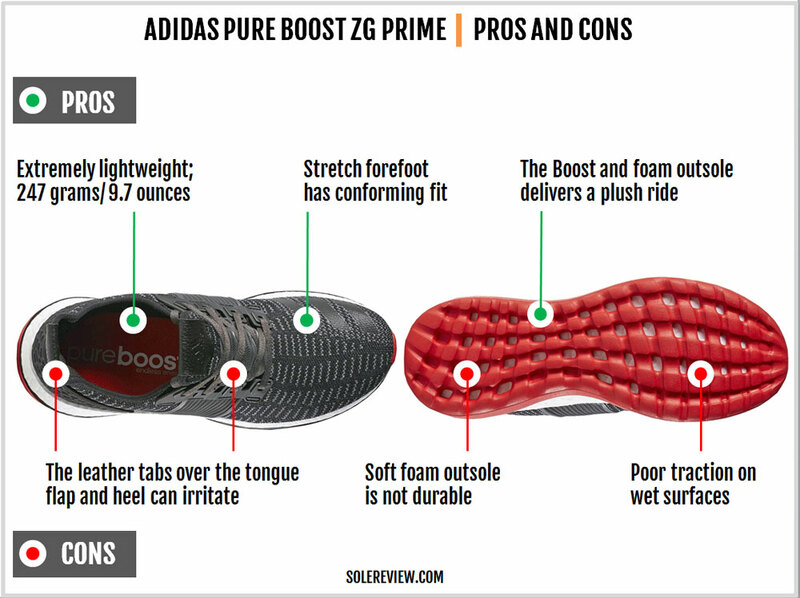 When you compare the new Pure Boost to the original design, the ZG’s ride is relatively firmer. There’s a simple explanation; the Boost portion is much thinner than the earlier models. The outsole might be made completely of foam, but in relative comparison it is firmer than the Boost foam. 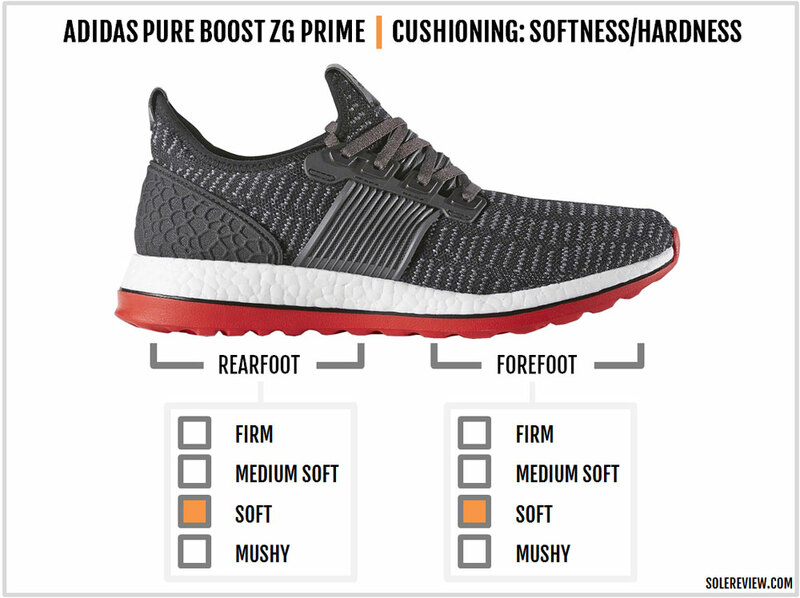 Needless to say, the Pure Boost ZG rides firmer than other full-volume models like the Ultra Boost or the NMD_XR1 ( an adidas Originals model). As a stand-alone material, adidas Boost is extremely supportive. But its individual contribution cannot be greater than the sum of parts. Boost’s responsiveness works better sandwiched between two firm layers. We’ve seen this in performance running shoes like the adidas Glide or Boston Boost. The Pure Boost’s ride sensation is skewed towards delivering softness than responsive rebound. The soft outsole dilutes the Boost’s spring-back properties, and so does the generously perforated lasting sheet below the insole. But when compared to the rest of the world, the adidas Pure Boost ZG does have a bouncy feel to it. The original Pure Boost was a complete disaster from a stability angle. 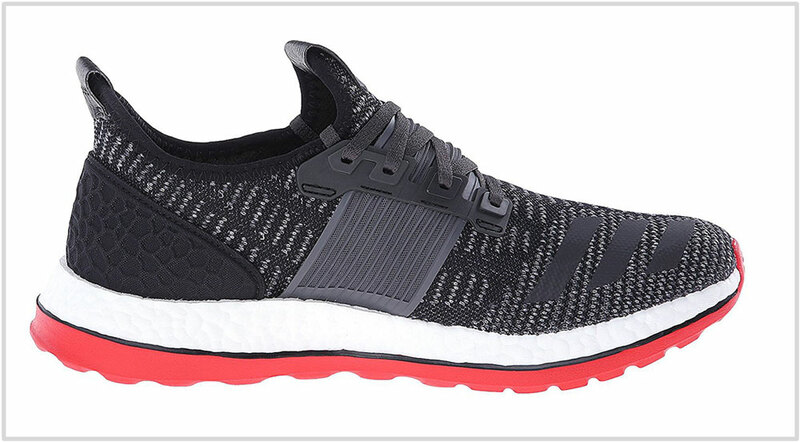 The uber-soft and unstructured ride made the first two versions of the Pure Boost simply unsuitable for any athletic activity. 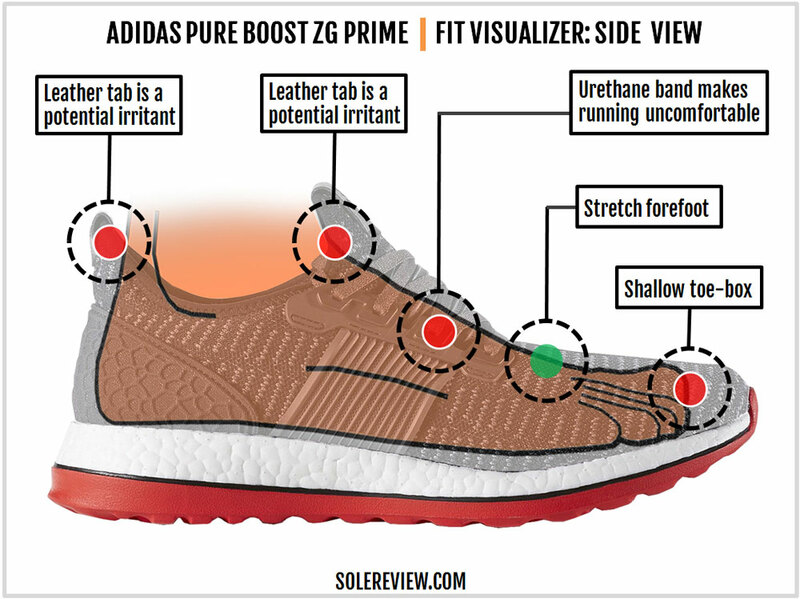 Thankfully, while the 2016 Pure Boost ZG is not exactly the epitome of a supportive ride, it fares much better than the all-Boost design. The increased firmness of the ride (compared to the earlier PB) helps improve the support levels. That said, the PB delivers mediocre performance when used as a running shoe. The unstructured built of the shoe leads to sideways lean on impact, and the midfoot lacks any form of torsional rigidity. Transitions are very sluggish because of the overall soft nature of the midsole and outsole. All of these traits collectively make the Pure Boost ZG’s case stronger as a casual sneaker and not as a product capable of meeting performance standards. Those who use the Pure Boost ZG Prime as a walking shoe will find much to like about. Save for a couple of potential issues, the upper fits well. The stretchy Primeknit mesh conforms to your forefoot, and the sock-like design is smooth for the most part. There’s plenty of soft cushioning underneath, which makes the PB extremely comfortable for walking around and standing all day. And the shoe weighs just 8.7 ounces/247 grams for a US size 9, which is a remarkable feat. All that was the good stuff, and now it is time for the not-so-good news. 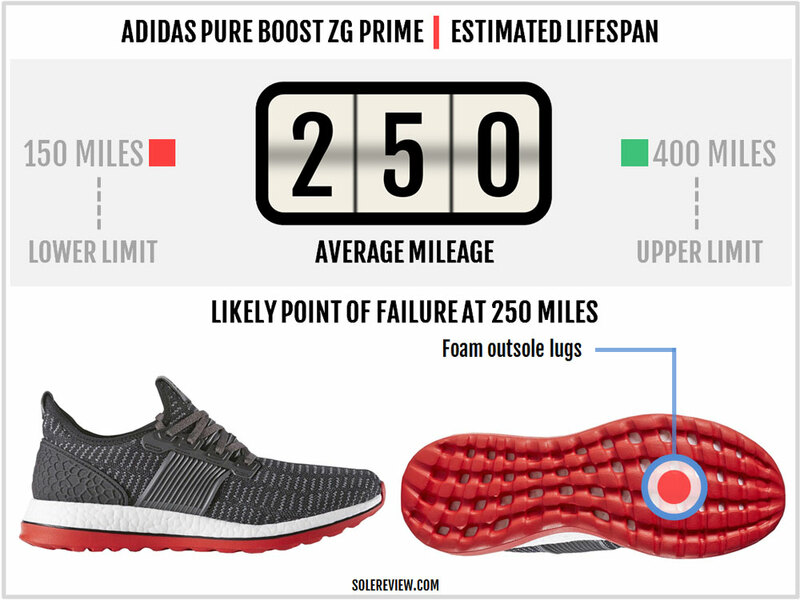 The Pure Boost ZG has multiple flaws. The leather tabs stitched on the tongue flap and Achilles edge might prove to be an irritant for some, and ditto for the urethane midfoot band. Below the upper, the shoe falls short of the stability benchmarks set by the performance running category. The soft sole construction isn’t confidence inspiring when it comes to delivering support. Heel to toe roll-offs feel lazy and inefficient due to the mushy ride. Furthermore, the lack of outsole durability is a problem, and so is the latter’s grip level on smooth and wet surfaces. 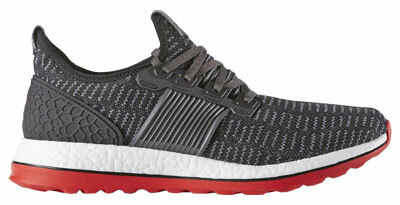 The adidas Pure Boost ZG Prime is a comfortable everyday casual sneaker, and nothing else. If you’re looking for a great running shoe, then lend a thought to the Supernova Glide Boost instead. The Pure Boost ZG’s overall score is based on its potential use as a performance running shoe, and not a casual lifestyle sneaker. This review is made possible by crowdsourcing multiple reviews from the solereview community. Improve it by submitting a review here. Learn more about how our reviews are designed.